We know the government is under shutdown and so are the monuments, Smithsonians, Appalachian trail, the Capitol — even the National Zoo’s panda cam. If you have guests in town this weekend, or even if you don’t, here are a few things that are going on in the area. 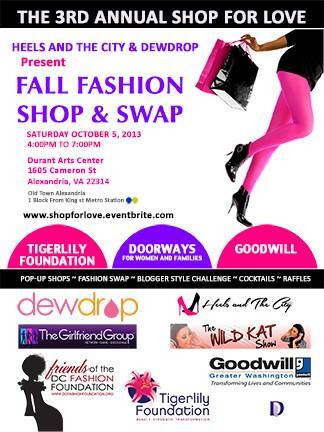 Dewdrop and Heels and the City are hosting the third annual Shop for Love: Fall Fashion Shop & Swap Saturday in Alexandria. Calling all fashion lovers out for an evening of social shopping and swapping in support of breast cancer and domestic violence awareness. This Saturday Dewdrop and Heels and the City are holding the Third Annual Shop for Love: Fall Fashion Shop & Swap, a charity swap party and vendor showcase in support of Tigerlily Foundation and Doorways. Along with the swap, guests will enjoy complimentary massages during the massage bar hour while mingling with like-minded women over complimentary treats and refreshments, shopping a multitude of pop-up shops of emerging designers and retailers, viewing a blogger style challenge highlighting the hottest fall trends and much more. All unswapped items will be donated to Goodwill of Greater Washington. Saturday, Oct. 5, 2013 from 4-7 p.m. at Durant Arts Center in Old Town Alexandria. Tickets are $20 to shop, swap and sip and $15 with a donation. Fashion to support your favorite four-legged friends. This one’s for the animal loving fashionista. The Paws for a Cause Fashion Show will be held this Saturday. 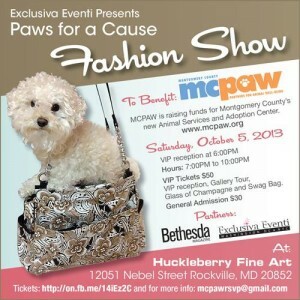 Join Bethesda Magazine and Exclusiva Eventi to support Montgomery County Partners for Animal Well-being (MCPAW). MCPAW is raising funds to assist in the building of the new state-of-the-art Montgomery County Animal Services and Adoption Center in Derwood, Md. A VIP Reception begins at 6 p.m., with the event from 7-10 p.m. 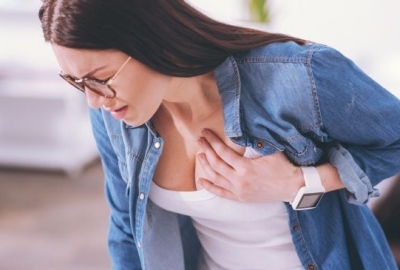 Dress is business attire or fashionably chic. At the door you have the option to buy a $50 VIP ticket, which includes a swag bag, front row seating, one-hour open bar during the VIP reception and exclusive gallery tour. Or you can purchase a $30 general admission ticket with a glass of champagne. There will be hors d’oeuvres at the event for everyone. Saturday, Oct. 5, 2013 at Huckleberry Fine Art Gallery, in Rockville. VIP reception at 6 p.m. Fashion show from 7-10 p.m.
Bethesda’s famous food and music festival brings 60 restaurants and five stages of entertainment to Bethesda’s Woodmont Triangle. Each year, more than 40,000 people sample the delicious restaurants, enjoy the live entertainment and visit the kid’s corner for face painting and arts and crafts. 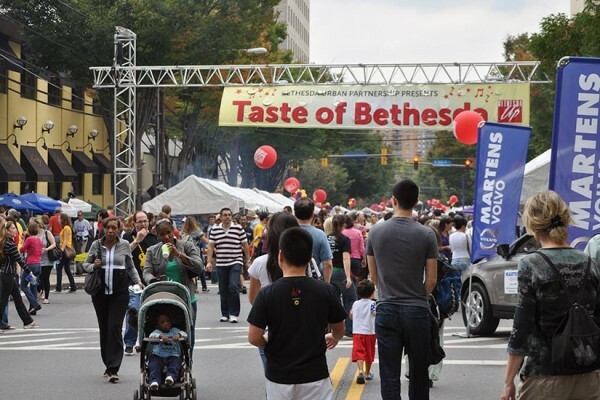 Restaurants will be serving delectable dishes from 11 a.m.-4 p.m.
Saturday, Oct. 5, 2013 at Norfolk, Fairmont, St. Elmo, Cordell and Del Ray Avenues in Bethesda’s Woodmont Triangle. Free admission. Taste tickets are $5 each. Food servings cost one to four tickets. Ticket sales end at 3:30 p.m. 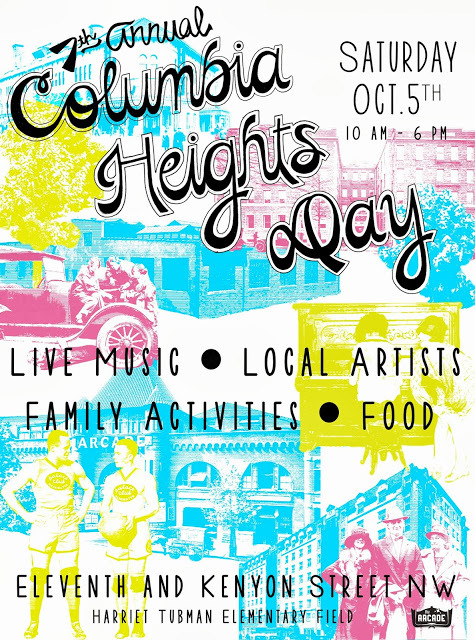 Celebrate community at Columbia Heights Day this Saturday. 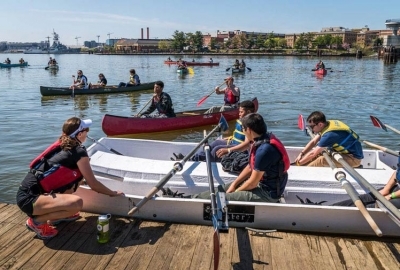 Come out and support one of D.C.’s transforming communities at the 7th annual Columbia Heights Day! It will be an outdoor festival with live music, contests, petting zoos, food trucks, arts and crafts, a bike repair pop-up shop, kids zone, a “Momo Eating Contest,” Kali Yoga Studio workshop and more. Saturday, Oct. 5. 10 a.m.-6 p.m. Tubman Elementary School Field, 11th Street and Kenyon Street NW. Free. Body conscious girl talk and vintage shopping. 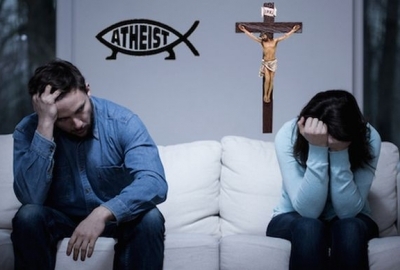 Are you sold yet? Head over to a limited-edition fashion issue release party and pop-up shop this Sunday. 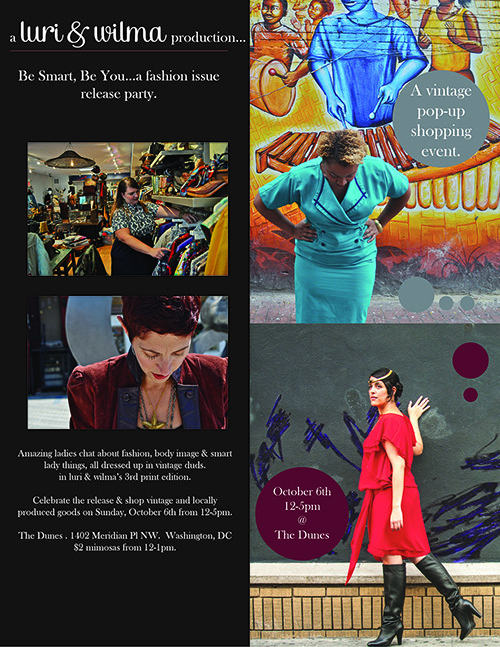 Amazing ladies will chat about fashion, body image and smart lady things, all dressed up in vintage duds in Luri & Wilma’s 3rd print edition. They’re inviting the city to celebrate the magazine release and shop vintage and locally produced goods from I Found That Vintage, Mimilah and recycled paper prints from Studio Moody. Get there early because they’ll be serving $2 mimosas from noon-1 p.m.! Sunday, Oct. 6, 2013 at The Dunes, 1402 Meridian Place NW. Noon-5 p.m. Free.